For the past many many months, not a day has gone by when I have not consumed a protein supplement in some form, at some point during the day. After I play tennis, or during a round of golf, it is convenient to unwrap a protein bar. When I am on the fly and need a quick breakfast, I will put together a protein powder shake or make up a smoothie 'bowl'. 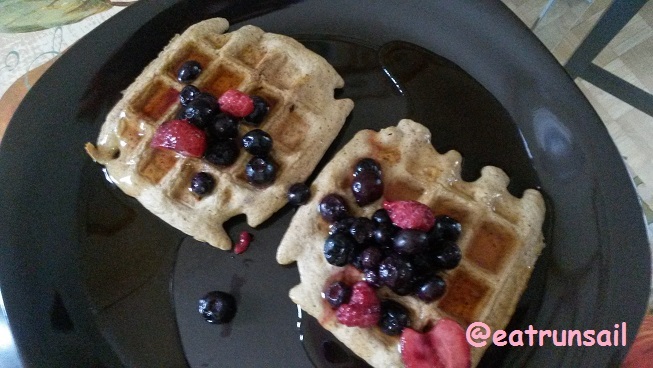 When I have more time for breakfast I make waffles or pancakes or 'puffs' with protein powder and egg whites. If I am wanting a little extra 'sweet' after my lunch or dinner, I may mix some protein powder with a bit of nut milk and add a handful of cashews or walnuts or almonds, and call it dessert. And sometimes I mix protein powder with a bit of nut milk to make fruit dip. But most importantly, after a tough workout, or a sweaty run, I make up a protein smoothie to help make sure I have a comfortable and healthy recovery. I like to use a powder that mixes readily, and completely, that tastes great, and that has a favorable nutritional profile. Well, have you met the latest and brightest star in the vegetable protein lineup? It is pea protein. A few weeks ago I was given the opportunity to sample a variety from Nu-Zest USA called CLEAN LEAN PROTEIN... they sent me 4 sample packs to test. I was so happy with the taste and texture and nutritional information, that I decided to become an affiliate. I liked the Wild Stawberry, the Rich Chocolate, and the Creamy Cappucino, but my favorite is always vanilla and this Smooth Vanilla is exceptional. There is also an unflavored powder called Just Natural. For me, the first test of a protein powder is how it tastes mixed with only water. And these certainly passed that test. I admit to liking them better mixed with coconut or almond milk, for the creaminess factor.... but in a pinch, water is fine. That makes them particularly handy to carry in you gym bag or purse so that you have a healthy snack or mini-meal at the ready. And the second test is how long they stick to my ribs... whether they satisfy me for a few hours after I have consumed them. I have found that the CLEAN LEAN PROTEIN keeps me feeling full for at least 3 or 4 hours. Great. These powders are very high in protein, low in fat and low in carbohydrates. They fit into a low-carb lifestyle such as mine, just perfectly. CLEAN LEAN PROTEIN is formulated from European Golden Peas making it highly and readily digestible. It is gluten free, dairy free, soy free, and GMO free. It is a complete protein, containing all 9 essential amino acids. I am happy to tell you that NuZest offers free shipping to Canada and the 48 mainland states in the U.S.A. on orders over $50. Free shipping. That is always good news to Canadians because we pay outrageous fees here for postage and couriers. Do have a look at the NuZest USA web site for yourself to read all the important and relevant information. There are even some recipes there for you to try. Sign up for an email subscription to get a free sample, too. And there is a giveaway happening for two tubs as well. Don't miss that for sure! And if you do decide to go ahead and buy, please use the code eatrunsail in order to receive a 15% discount on your purchase. Yes, I will earn a small commission. But in all honesty, my blog is not about earning an income, and any money that does come to me from these sales, will be donated to my local SPCA. Have you tried a pea protein yet? What is your favorite way to use protein powder? 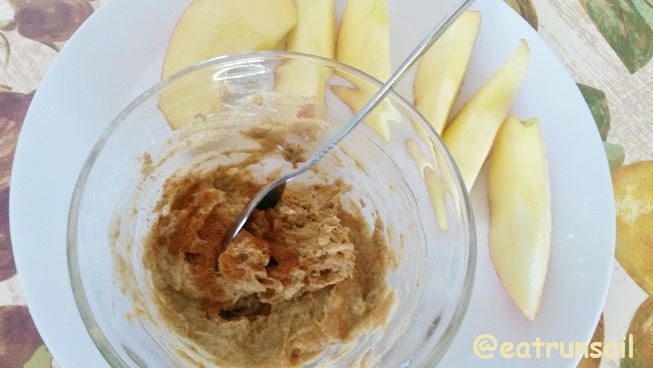 What do you eat after a workout or run to help with recovery? Thanks for the great post! Protein is so important to me, I used to be afraid to use it. Pea protein has a different texture for me, how is this one? I can't do any grit at all! I love that it is non gmo, that is a huge plus! No not gritty at all. I don't like that either. This is very fine and mixes up really easily either by shaking or just stirring into your liquid. I love pea protein, it's my protein powder of choice. I haven't tried this brand though. gluten-free and soy-free?! Oooo I need to try! I've heard of pea protein but haven't yet tried it out. I LOVE protein pancakes or waffles though. Mmmm. This time of year it's better than doing a post workout shake I think because...brrr! I have to admit I don't know a lot about different types of proteins. This looks like a great brand! I need to work on making protein energy drinks post-workout, this looks like it would fit the bill! I got a jug of pea protein when I visited NOW foods and it is amazing. I use it constantly in pancakes, waffles, smoothies, you name it. I've never heard of this brand before, or pea protein for that matter. I drink a protein shake daily and it definitely helps with my energy level. I've never tried a pea protein. My go to post workout protein is a 2 egg omelet! Oddly enough, even though I'm vegan, I don't sweat getting enough protein through my regular diet. It's not that hard. I do appreciate a good, plant based protein powder though. The more vegan options, the better! 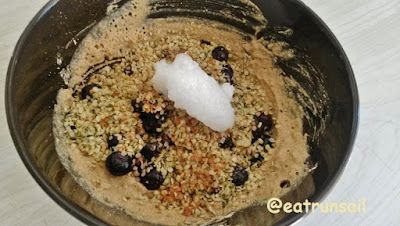 I love to make protein smoothies and I also love to bake with protein powder!! I haven't tried pea protein yet, I'm a little apprehensive of the plant based proteins. All of the ones I've tried have all been gritty with the exception of Skoop! I have tried a few different protein powders, but don't use them daily. I don't usually use protein powders, but I've been looking for something with few ingredients to have on hand. This sounds really interesting and I like that the ingredient list does not have fake sugar or stevia. any protein that tastes good just on its own is a win. Thanks for sharing! The capuccino flavor sounds really good! FREE SHIPPING?! TO CANADA? I'm shocked haha. We always get dinged with shipping! I'll have to try this brand! I rarely use protein powder but I have a container of chocolate-flavored in my cupboard. I use protein in a lot of my recipes. My favorites are probably yogurt, oatmeal and smoothies. Ni zest sounds great, I could always use a little extra protein in my life. The article notes that provide information of interest to visitors and make this.Love it! You did a fantastic job.